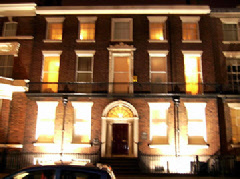 The former home of one of Liverpool’s greatest sons, Roscoe House bears the name of its eighteenth century former owner, William Roscoe. Responsible for a diverse range of literary works, his most famous is almost certainly The Butterflies Ball. However, he is perhaps most widely recognised for his valiant stance against the slave trade. Interestingly, another of his homes, Allerton Hall, is today a pub on the outskirts of the city. Today, Roscoe House offers 15 “boutique” guest rooms and is pet-friendly. Both the Metropolitan Cathedral and awe-inspiring Anglican Cathedral are close by. Liverpool itself is, of course, world renowned for its connections to The Beatles and the pop music scene of the 1960’s. However, the city offers much to the history enthusiast, especially with regard to maritime heritage. Art lovers will also discover much at the famous Walker Art Gallery.